Sports X Arena in Nagawara is totally a stress buster zone. 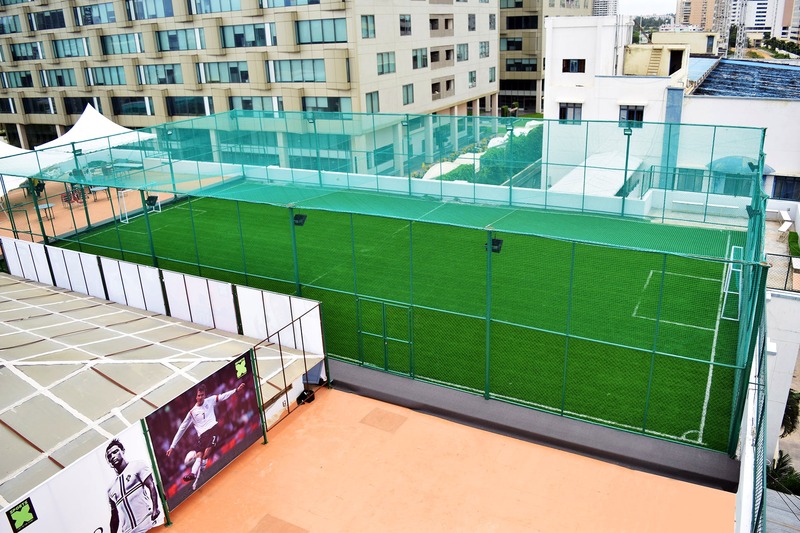 Football turf on a rooftop - probably you haven't experienced something like. Great ambience with a cafeteria that serves quick bites and hookah. What else can you possibly ask for? Well, they also have paintball and body zorbing and the longest zipline in Bengaluru. What are you waiting for? Get your friends along and have fun amigos. Sports X have specially tailored packages for schools, colleges and corporates that come with a discount. So go ahead and pre-book.